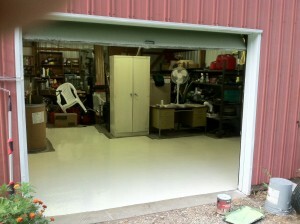 Since returning from Oshkosh we have been working almost constantly getting the barn ready for the aircraft build. It was packed full of several generations keepsakes, mementos and items too valuable to discard. 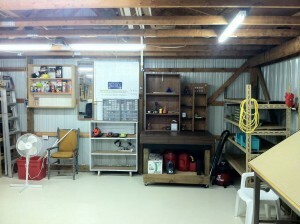 A garage sale and family relocation disposed of enough stuff to permit sealing and painting of the floor to begin. Dolly’s mother-in-law had been the manager of the Saginaw, MI Greyhound bus terminal at the time of it’s closing many years ago. There were a metal cabinet and shelving from the terminal in the barn along with some other items. These were retained, cleaned and painted. As walls became accessible they were vacuumed and washed of innumerable spider webs. Sevin insecticide was sprinkled liberally as baseboard areas were liberated. Expanding urethane foam was sprayed into openings between the baseboard and the steel walls. Electric wiring was revised, adding another 14 outlets along three of the walls. 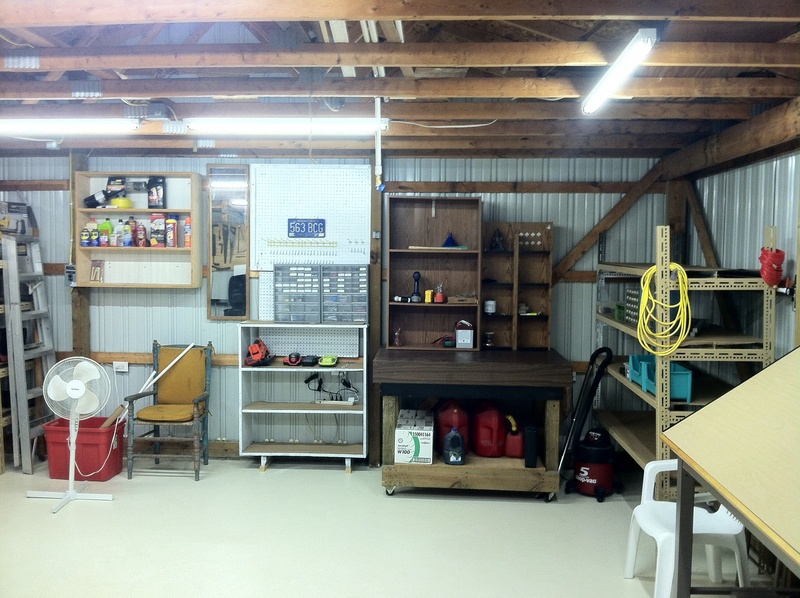 Lighting was renovated with the addition of eight double bulb high intensity T5 fluorescent fixtures. PVC piping was added to distribute compressed air to four outlets for a rivet gun and other air tools. Several items were sold on craigslist. 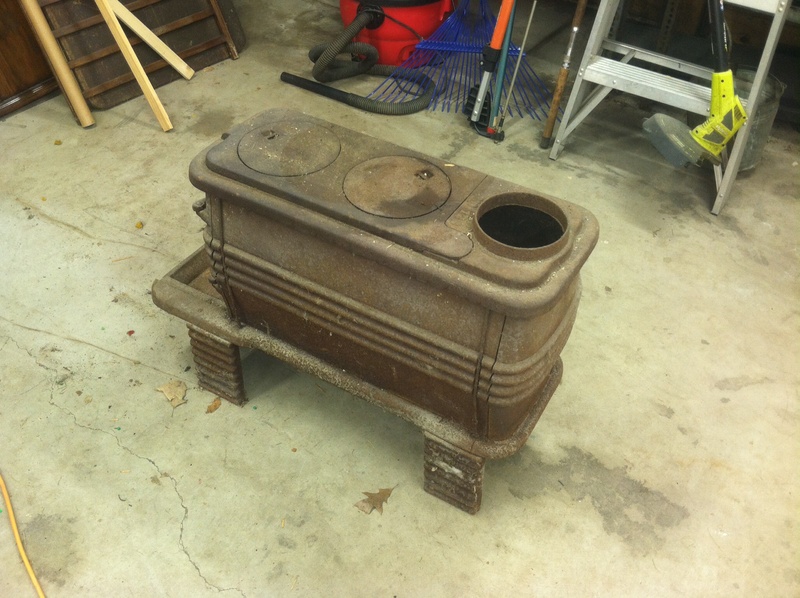 One was an old cast iron wood stove suitable for a North Woods hunting camp. 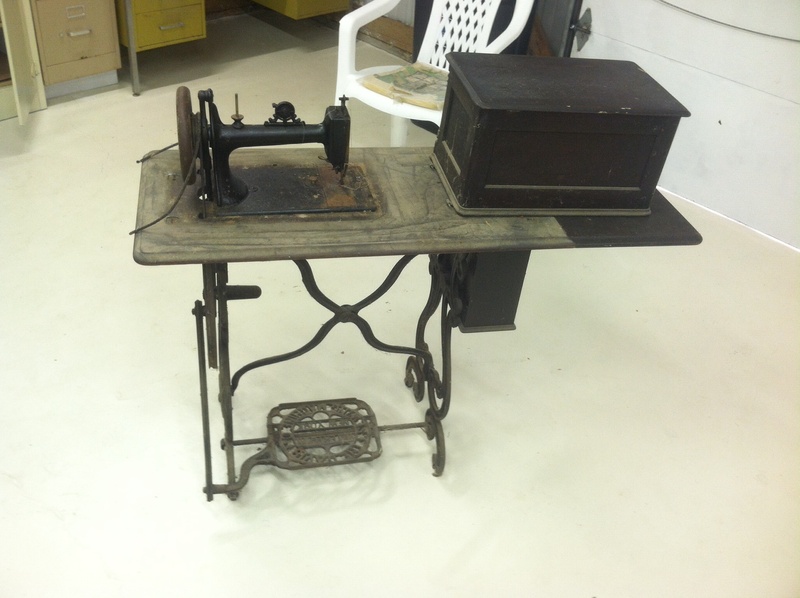 Another was an ancient (the ad called it an antique) treadle sewing machine made by the Davis Sewing Machine Co. 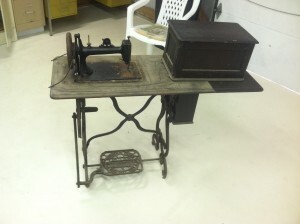 The company stopped making sewing machines in 1924. The successor company makes Huffy bicycles. 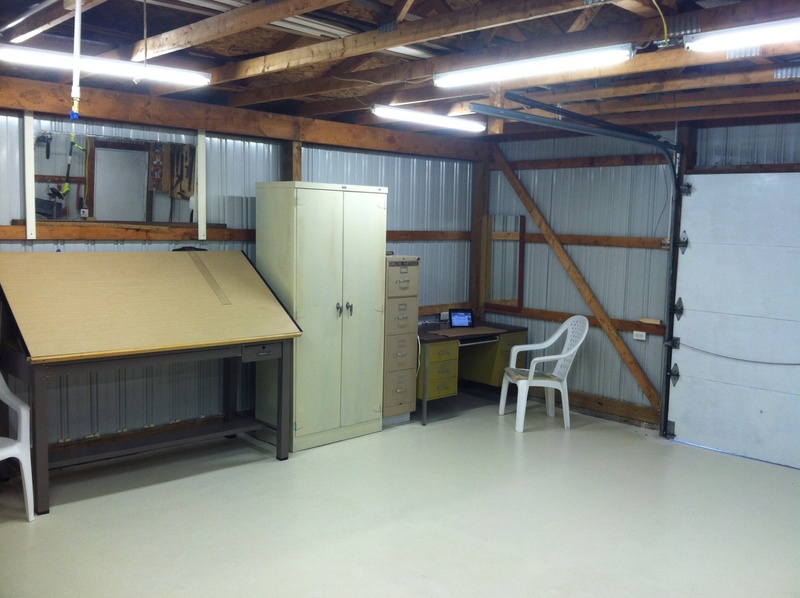 Finally, the Avery tool kit ordered at Oshkosh was received and inventoried OK.
Sister-in-law Vicky contributed a professional drafting table that we moved from Grand Rapids. It will be great for displaying and reading the large plan drawings that come with the Vans kits. Son Len hauled two pickup loads of metal goods to the scrap dealer. Dolly supplied the desk and file cabinet. It’s become a real family project. Now it is the end of September, the barn is ready and we shall soon depart for Florida.